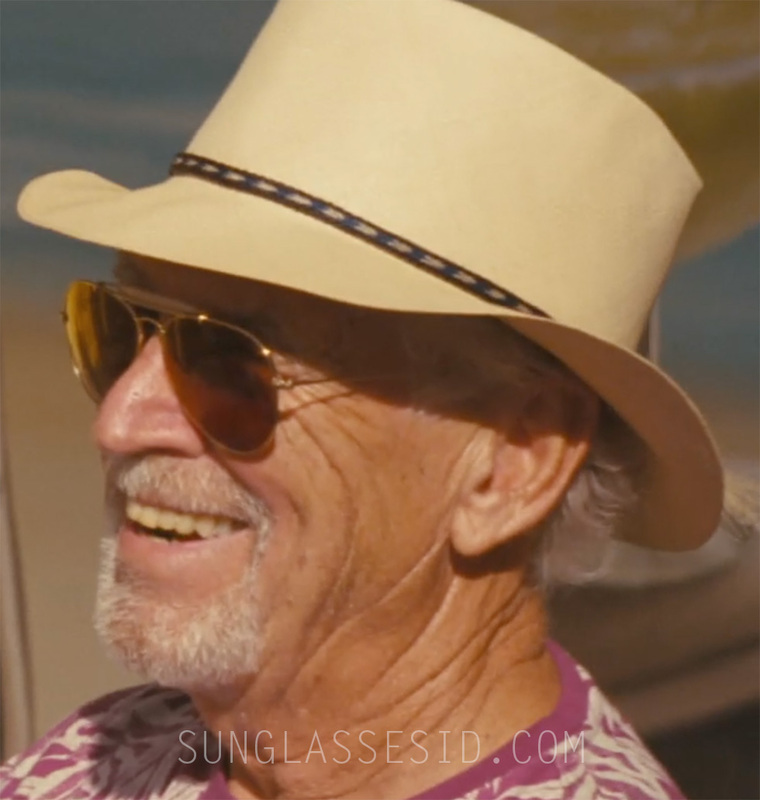 Jimmy Buffet wears Ray-Ban 3029 Outdoorsman II in The Beach Bum. Jimmy Buffet wears Ray-Ban 3029 Outdoorsman II in The Beach Bum (2019). It's not 100% sure that the pair is a 3029 or 3030 version (with cable temples). Buffet can often be spotted wearing Ray-Ban Outdoorsman sunglasses, not only in the film, but on tour or in one of his establishments. The Outdoorsman comes in different sizes, so make sure to get the right size for you when you buy them online, for example at FramesDirect, Amazon or eBay. Jimmy Buffet is an American musician, songwriter, author and businessman, and sometimes makes cameo appearances as himself in movies or tv series. The movie The Beach Bum stars Matthew McConaughey (who wears flip over sunglasses), Snoop Dogg (who wears Versace VE2150Q and Versace VE4289 sunglasses), Isla Fisher, Stefania LaVie Owen, Zac Efron and Martin Lawrence.